Additions and renovations to this country home to improve its function for a young, modern family; and improve physical and visual connections to its large yard and surrounding woods. Existing to be Renovated: 551 sq. ft. 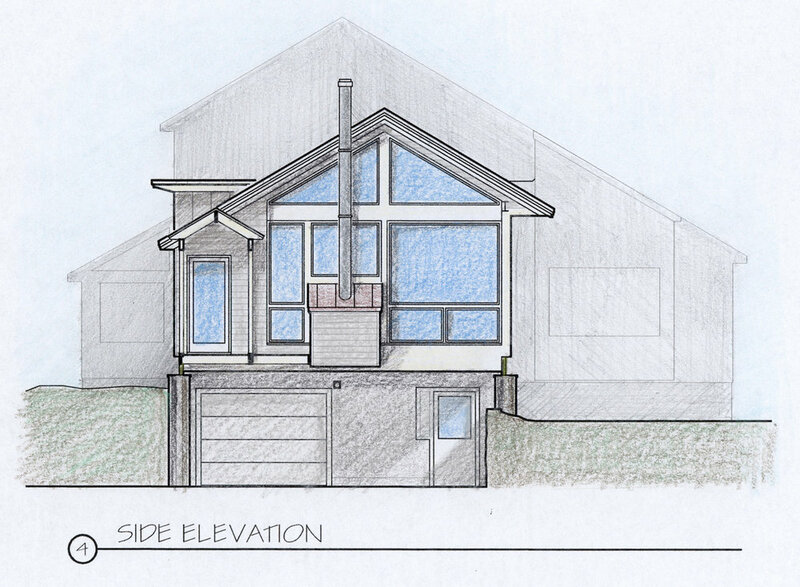 Proposed Addition: 864 sq. ft. Proposed Screen Porch and Connecting Deck: 336 sq. ft. Existing to be Renovated: 158 sq. ft. Existing to be Renovated: 315 sq. ft. 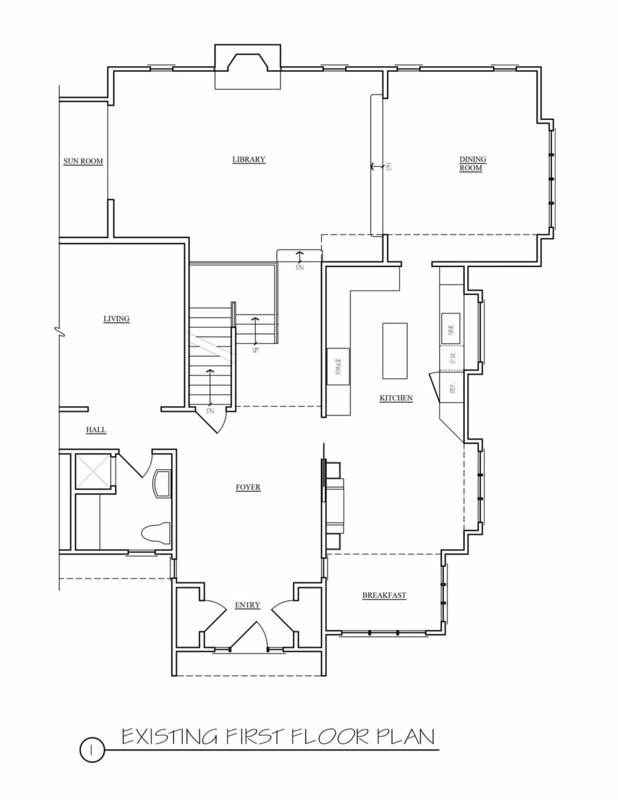 Fix the ills baked into the design of this 33 year old contemporary styled home for a young family of 4 plus two big dogs. Kitchen too small (60% the size of the foyer). 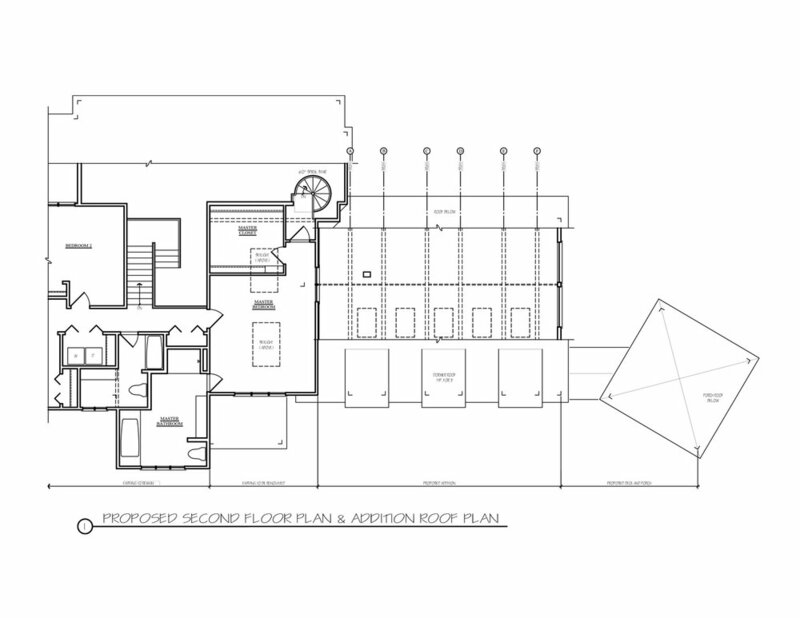 Kitchen & Family Room at opposite ends of the house. No direct access from kitchen to outdoor space. Garage bays at basement level. No guest suite for extended family visits. 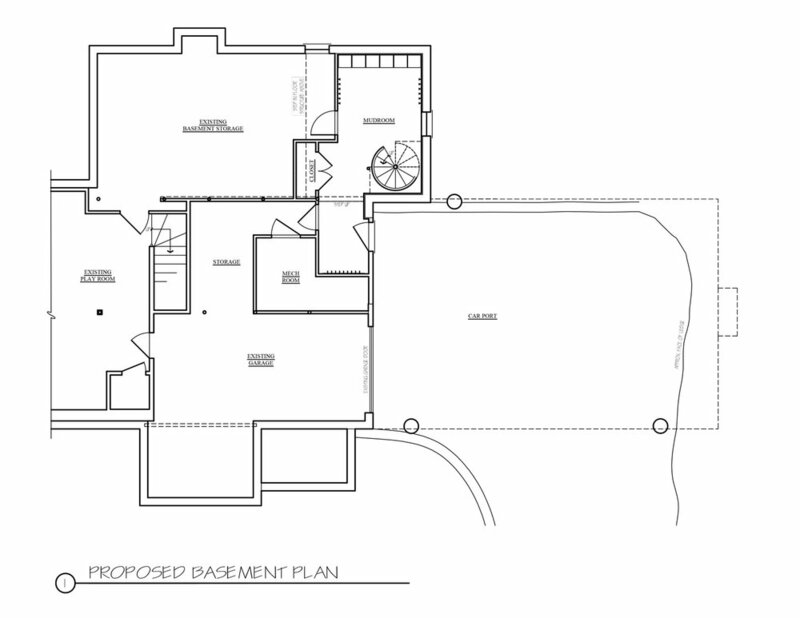 The master plan involves 2 additions: one to the front containing a 2-car garage at the front yard level with a master bedroom suite above. 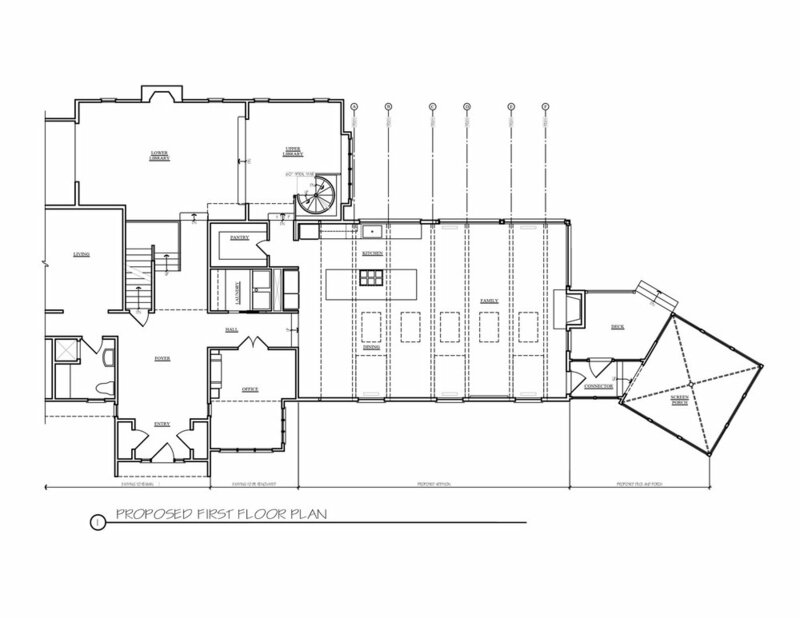 This addition with its connections to the home creates an entry court and the existing oversized foyer is transformed to also offer mudroom functions. 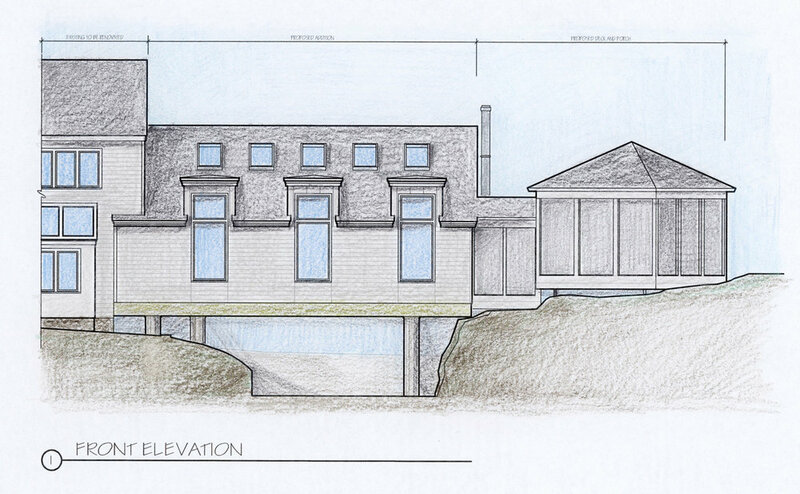 The other new wing is the Bridge Addition, so called because it spans 36’ across a driveway between the main house and the top of a live rock wall. 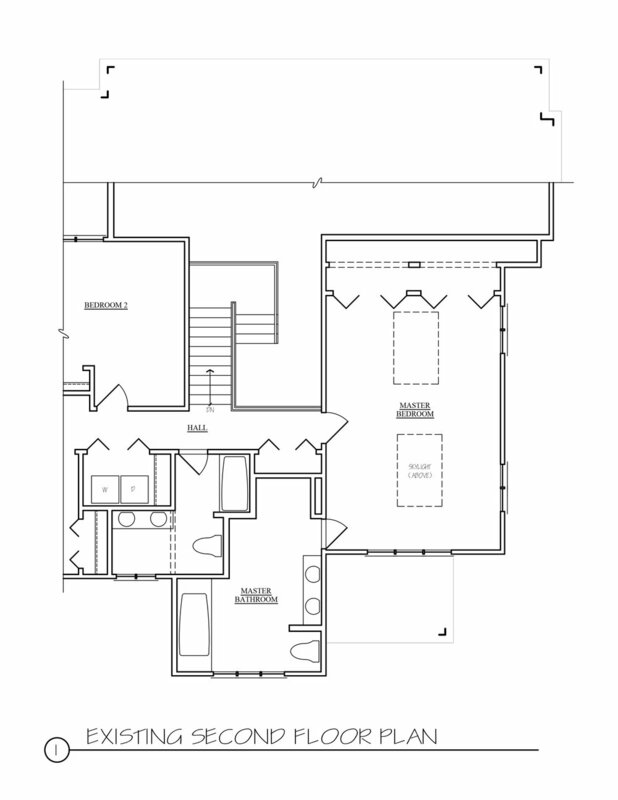 This addition is the 1st phase of construction for the master plan and contains the kitchen, dining area and family room all in one open volume. The old kitchen converts into a laundry room and pantry. 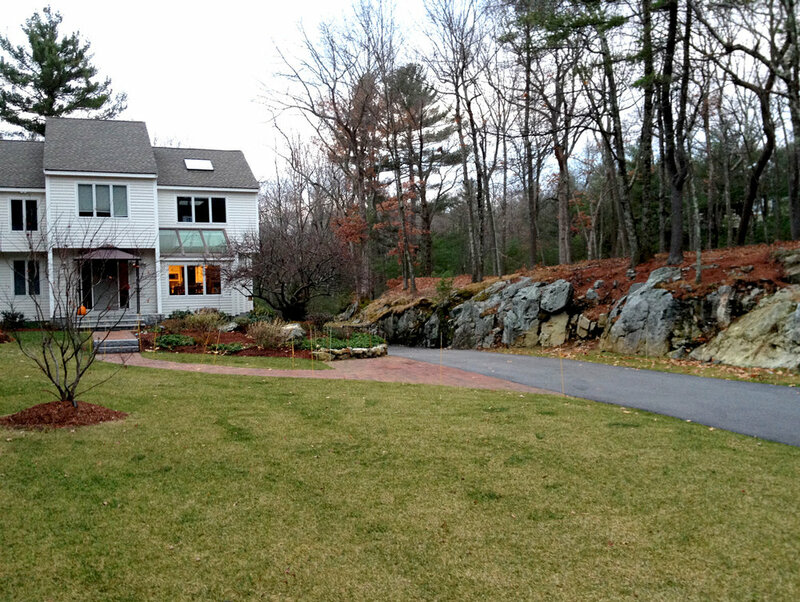 The family does not use the current basement-level garage for parking cars because it is remote from the living areas and awkward to access; being hemmed in by the live rock wall & two stone retaining walls. The driveway being spanned by the Bridge Addition becomes a car port. One of the garage bays is partially repurposed to be a side-entry with mudroom features and a spiral stair up to the kitchen. In the future, when the new garage and its associated mudroom is built at the front of the house, this side entry will serve as a play and gardening access with the other garage bay used for storage.